Dragon-i, perhaps the first Chinese restaurant brand that brought proper xiao long boa and Chinese cuisine from the region of Shanghai, Szechuan, Beijing and Lanzhou, has been operating since some 14 years ago, is now relaunching 3 of their outlets to “Dragon-i Peking Duck Restaurant“, and I was invited to sample this new dish that they now offer at their 1-Utama outlet. 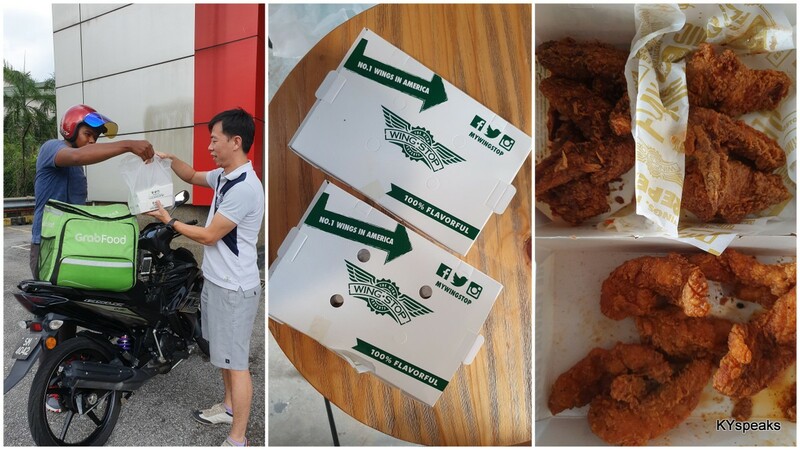 This was quite interesting for me, as Dragon-i at 1-Utama was one of my earliest food blog entry all the way back in 2005. Well, compared to 13 years ago, the restaurant has seen quite a bit of an upgrade in its interior decoration. First and foremost, it has a new logo with a little duck by the side, the dining area looks a lot more up-class and comfortable, and most importantly, it also spot an open roasting room for Peking Duck, where you can observe the chef from Beijing expertly prepare the bird for your indulgence. As for the duck itself, I was informed that they’re imported from China to ensure consistent quality and standard demanded by the chef. The roasting process is done by employing traditional brick hung ovens and roast for about an hour on controlled fire over fruit-tree wood. 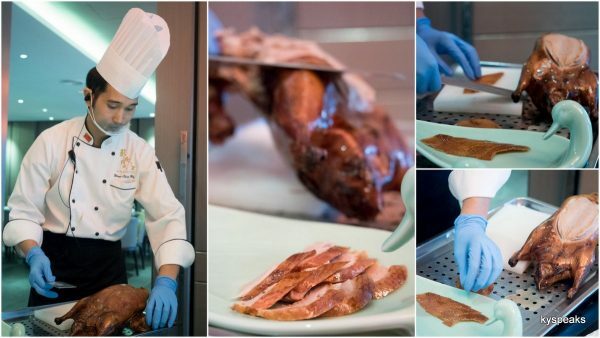 The idea is to employ strict traditional method to get that crispy skin with tender & succulent duck meat that is infused with smoky floral aroma, just like how it should be. The Peking duck dish comes in two choices. You can choose a “Peking Duck Two-Course Meal” that comes with Peking duck & duck bone soup with soft beancurd. This is a half duck course that feeds two pax and priced at RM 105. 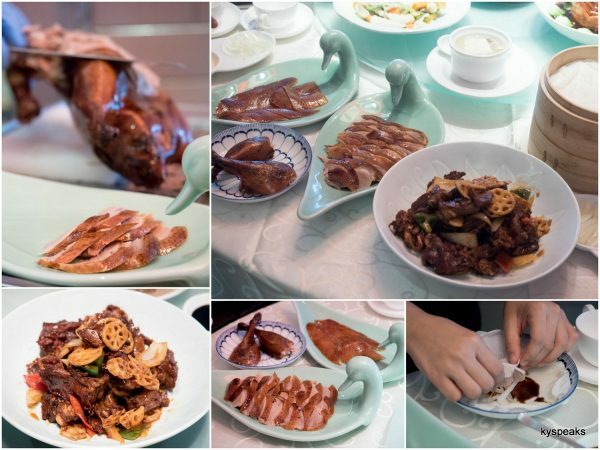 Which was precisely what was served to us, and I’m happy to say that the Peking duck was indeed as described – crispy skin & succulent meat at the same time. We had it the proper way of wrapping the duck meat with thin pancake skin, sweet sauce, cucumber, leek, and winter melon. The resulting roll is an explosion of taste & texture that no other dish can offer. I love it, and you bet we finished the whole portion. Other than the Peking Duck, we were also served with some of their other dishes in the menu. 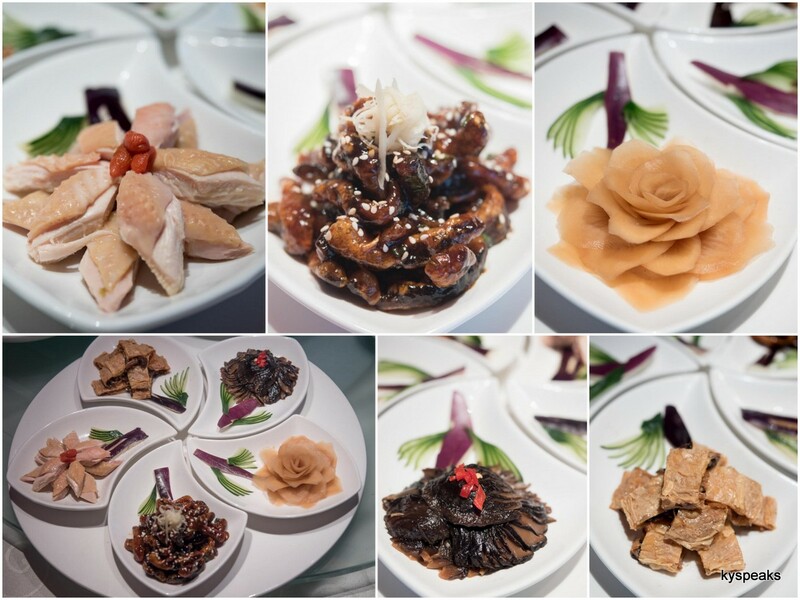 You can also order these dishes on its own, and if I had to pick one, it’ll have to be either the chilled chicken or the stewed mushroom. I especially love the rice wine undertone the chicken carries. For those who loves some good old fashion porky goodness, there’s the Braised Pork Belly with Steamed Buns (RM 88). The dish is beautifully prepared with the pork belly crafted in a pagoda-liked shape. 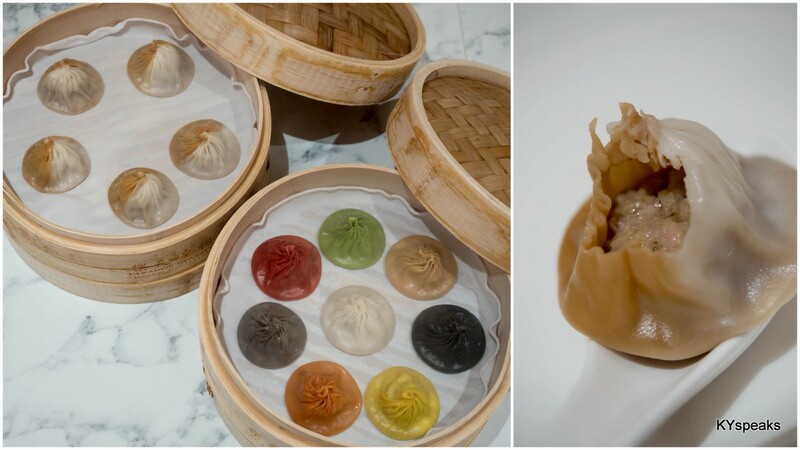 The portion for this is quite big though, and I reckon should serve at least 4 pax, tender 3-layer meat in those soft steamed buns, the best oriental porky “burger” if you like. Sauteed Mixed Vegetable (RM 25) provided a good change of pace in texture and freshness, and Steamed Black Pepper Shredded Duck Meat Bun (RM 12) provided yet another way for us to enjoy another different way the duck is served. 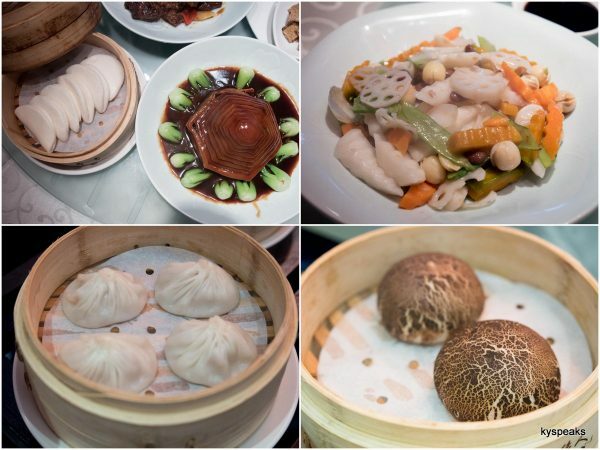 Of course, we also took the opportunity to sample the one dish that kick-started this franchise from all those years ago – the Shanghainese Steamed Meat Dumplings, or Xiao Long Bao (RM 12). Tasted just as it was the first time I set foot in this restaurant. Additionally, we also tried the Sauteed Diced Chicken with Dried Flower Chili in Szechuan Style (RM 38), or commonly known as “la ji zhi”, 辣子鸡. A dish with quick a bit of a kick that I absolutely adored, if you’re really adventurous, the imported fried chili can be chewed down for that numb and burning sensation (I didn’t try, but one guy over the session did). 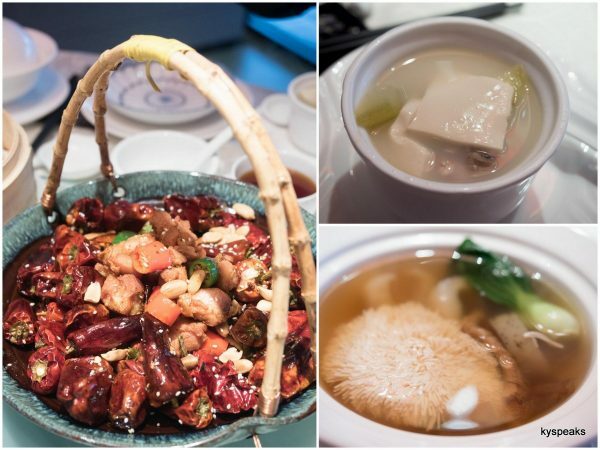 And last but not least (actually was the first dish I had), for the soup lover, their Double-boiled Hydrangea Beancurd, Sea Cucumber and Matsutake (RM 38) soup is one not to be missed. 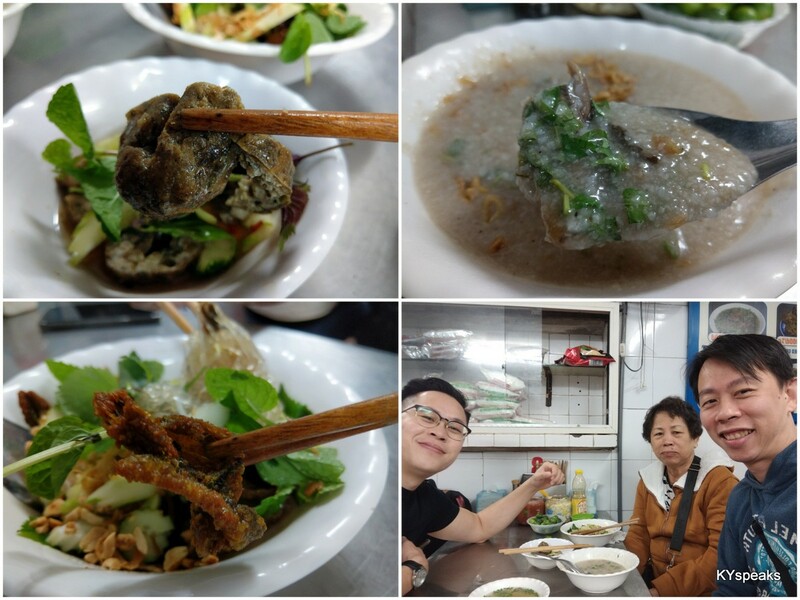 The soup was sweet with seafood goodness, and that tofu that’s expertly cut into 2,800 strands is really something to behold. Over all we definitely had a great time and awesome lunch at Dragon-i. 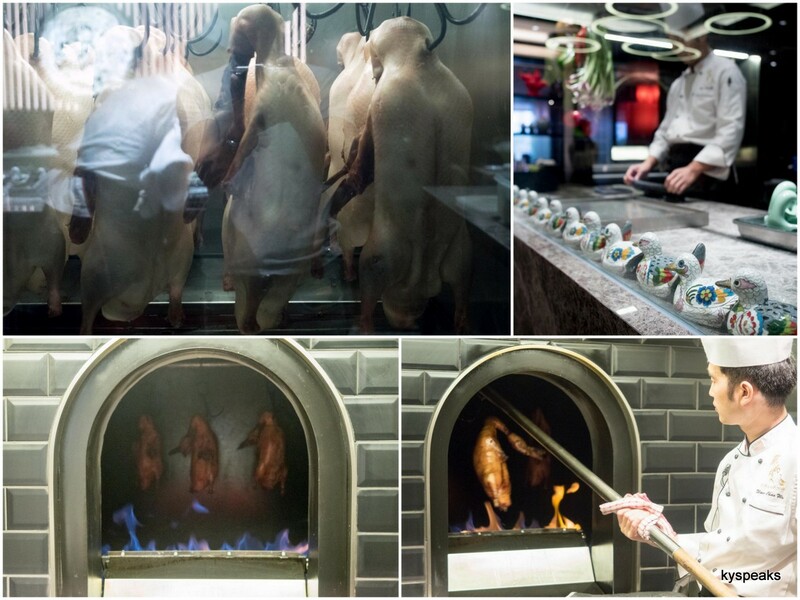 I think it is time we start to look at Peking duck as a delicacy that is to be enjoyed not only during special occasions such as near & around CNY, but all year round too. 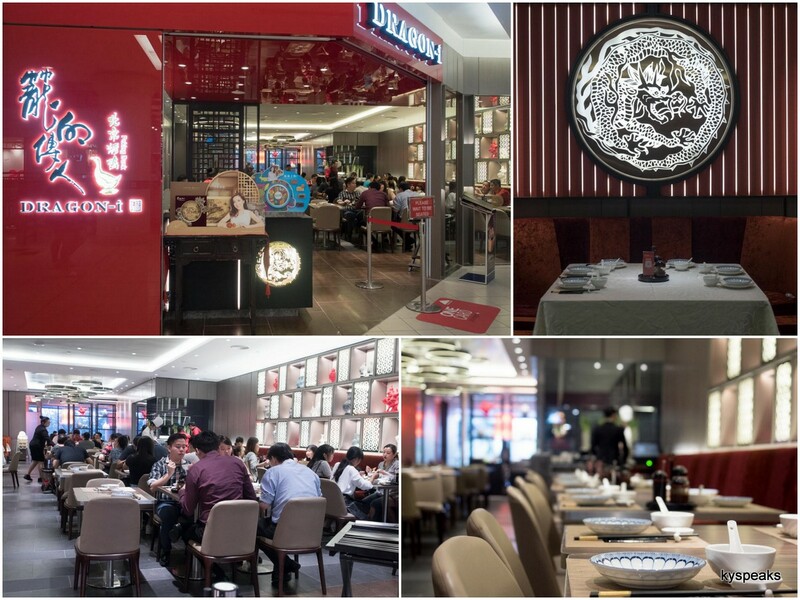 Dragon-i Peking Duck Restaurants are located at 1-Utama, Pavilion KL, and JBCC Komtar.